Every year, Google does something fun for the holidays. It can be something big, like free post cards or launching an awesome Santa Tracker website and app with awesome games, or it’s something simple like a little fun logo. In this case, since the big present is out from under the Google tree, it’s time for something cute and fun. 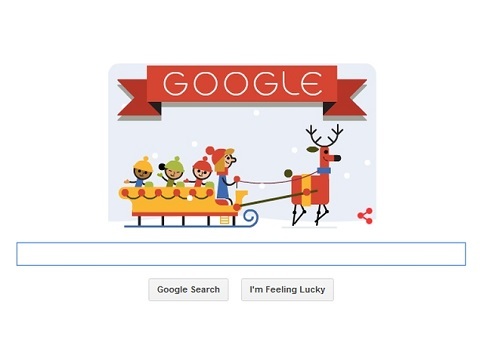 Google’s first Doodle of the holiday season is called ‘Tis The Season, and it’s adorable. Of course, Google goes out of its way to avoid being religious, so this cute winter scene of kids riding in a sleigh being pulled by a reindeer is about the cutest thing they could come up with that won’t offend anyone’s sensibilities. But that’s burying the lede: this thing is adorable, and cheerful, and everything you need from a holiday gif from the masters of the art of holiday logos. Once again, Google has outdone itself in terms of cute holiday fun.